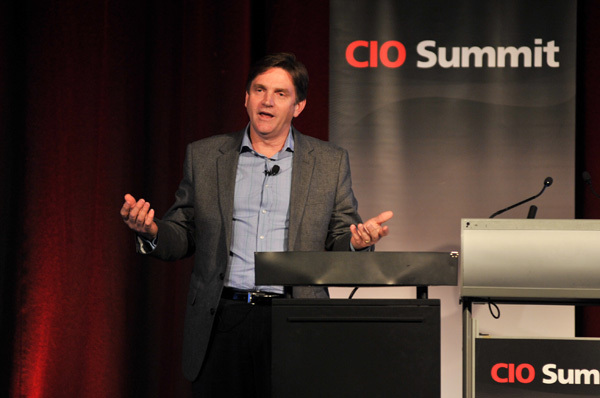 More than 200 CIOs and technologists gathered at the Sydney Convention and Exhibition Centre on Tuesday for the latest leg of the CIO Summit 2013. Attendees heard about the technology priorities and spending expectations of IT departments this year, and the changing and sometimes disconnected relationships that develop between CIOs, CFOs and CMOs. They also learned how to best assess the validity of a data centre provider and the risks they may never have thought existed; why managing knowledge can be a futile exercise; and how to bridge the gap between marketing and IT. Matt Oostveen, research director at IDC Australia, talked about how IT transformation is occurring on multi-dimensional levels and why a sheer love of technology is not enough to help IT leaders get through the modern computing age. IT budgets are tight with 42 per cent of CIOs reporting increases in 2013, down from 52 per cent last year, according to IDC research. Oostveen outlined a range of pressures being placed on the IT department. Perhaps the most telling was the fact that many CIOs are still disconnected from the marketing function and still have difficulty in aligning with the CFO and CMO. This is occurring because IT departments are too slow in deploying technology across their organisations and they are still too rigid in how they deploy and manage IT - a core reason why other lines of business bypass them, Oostveen said. 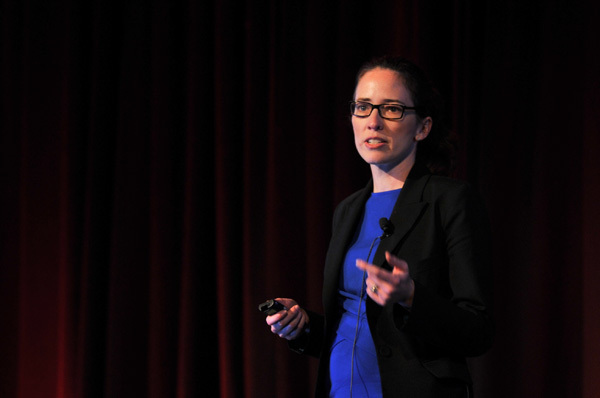 Emilie Ditton, IDC’s research manager, vertical markets told attendees that half of CIOs view their organisation’s IT function as a cost centre and don’t believe technology is a differentiator in business. However, Ditton said there was a real opportunity for CIOs to engage with CFOs to demonstrate why technology infrastructure is so instrumental to the business. Neil Shepherd, director at Nutbrook Engineering Group, highlighted why doing the right amount of due diligence on a data centre provider is extremely important. 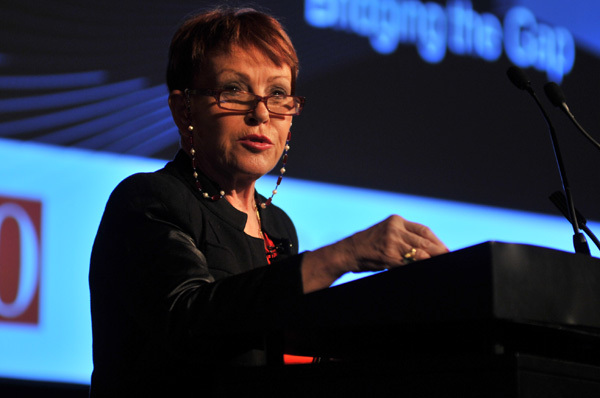 “Because of the skills shortage, it is amazing to see how many data centre operators are implementing non-technical engineers and relying on third party contractors to manage the process,” Shepherd said. Nigel Dalton, CIO at REA Group, told attendees that knowledge management in the digital age is an interactive process that revolves around conversation and not centralised, structured databases. So what do CEOs and other board members want from their CIO counterparts? Christina Gillies, an executive mentor and non-executive director on several boards gave attendees a few tips of how to behave in the boardroom. Mark Read, president of KBR’s minerals division, reflected on an ugly experience he had with the IT department. Doug Chapman, managing director at Amnesia Razorfish, talked about the formation of digital marketing and claimed that many CIOs have missed the internet. He said that when his company started working with Australia Post three years ago, one of their core strategic principles was that email was a fad, and people would continue to send letters. He highlighted that six out of 10 IT departments still block social media and sites like YouTube and Twitter. “CIOs and CMOs need to embrace the fact that the Internet has put the customer front and centre in every interaction,” he said.